Round shape highlights easy-to-read numerals. 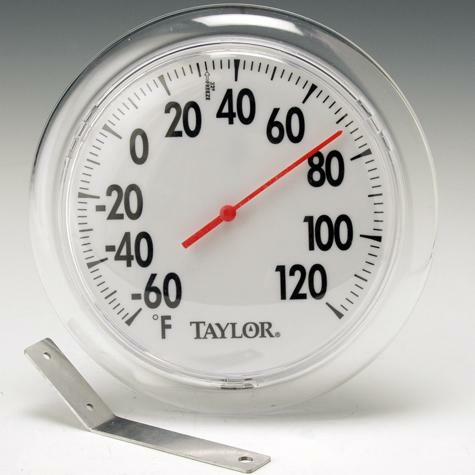 Temperature range -60°F to 120°F. Clear bezel. Red pointer. Includes bracket for secure window mounting. Weather resistant, shatterproof materials.